Use the form below to contact us for more information or questions. Begun in early October 2015, the film’s reflection on the underlying conditions that lead to discrimination of “the other” continues to become more and more relevant given the great influx of asylum-seekers entering Europe. After the Paris attacks in November 2015, the unprecedented election victories by anti-immigration platforms such as Poland’s nationalist party win, and rising anti-foreigner and anti-EU sentiment across Europe, multiculturalism as a societal goal in Europe is facing its greatest challenge since the 1920s. The refugee crisis is exposing how recalcitrant some EU-28 states are when it comes to solidarity, and the UK has voted by referendum to leave the EU. In the Czech Republic, Roma children have been disproportionately placed in de facto segregated or special schools for the mentally disabled for generations. In November 2007, the European Court of Human Rights found the Czech Republic had unlawfully, indirectly discriminated against such children in violation of the European Convention on Human Rights. Because little has changed since then, the European Commission has also recently begun infringement proceedings against the Czech Republic (and Slovakia) over discrimination against Romani children in education. Judgments against these states will not only be costly, but may also provide political ammunition to advocates of leaving the EU. Such a turn of events would close these societies off, be disastrous for Romani people and other marginalized groups, and harm the EU and the larger project of a peacefulw, democratic Europe. In this film, you will meet Czech and Slovak Romani immigrant children, several considered ineducable by their own societies, as they thrive in a new school, in a new language, in an equitable environment in the UK. You will also meet children in the Czech Republic who are breaking through the biases of ‘us and them’ as they redefine what is possible. Who are you? Who are we? Which Children Matter? The students, parents, educators and communities who shared their stories with us and made this lm possible. The Foundation Open Society Institute in cooperation with the Roma Initiatives of the Open Society foundations. 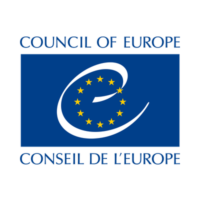 The Council of Europe -Dosta! Campaign for ghting stereotypes against Roma.